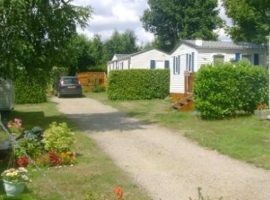 Located in Theix, in the heart of the Gulf of Morbihan, camping Rhuys is an excellent destination if you are looking for a place to put your suitcases for your next holiday in Brittany. 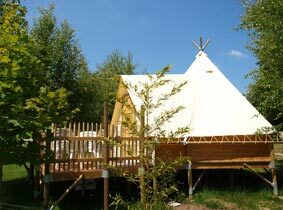 The campsite is ideally nestled on a beautiful green field, close to the sea, the countryside, as well as the city center. In addition, the bus stop just 100 meters from the estate allows you to discover the Vannes market at any time of the day. The activities are also numerous, to mention only water sports, nature hikes, visits to places and historical sites in the area, etc. 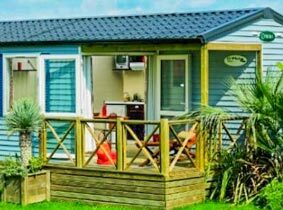 To accommodate you during your stay, the campsite Rhuys has a wide choice of mobile homes, comfortable, welcoming and ideal for a stay or a weekend with family, friends, or lovers. 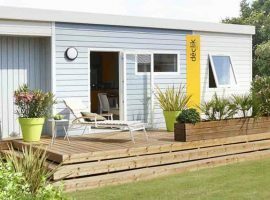 If you come in groups of up to 6 people, the Premium mobile home is the one you need. With 3 comfortable and well-appointed rooms, this rental has a living space of 31 m² and a private terrace. The 3 bedrooms are separated and already have everything you need for bedding. Baby equipment can also be installed in the master bedroom, if you need it. Want a homemade dish? No problem, because the Premium has a fully equipped kitchen, with utensils and functional materials to allow you to concoct a good dish. And sanitary, do not worry because they follow the standards in terms of hygiene and cleanliness. To add to this, a regular cleaning of your rental will be done and your garbage will be emptied daily so that you can enjoy your stay to the full. 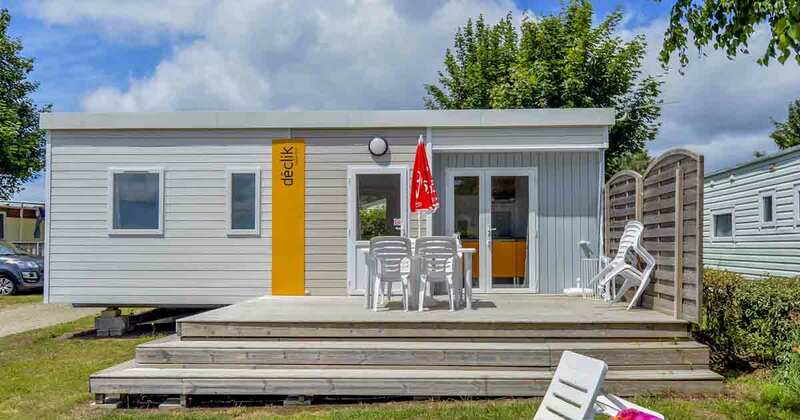 The Premium mobile home has been designed to offer the most comfort for its occupants. As a result, it includes multimedia equipment to distract you when you’re not going out, as well as a thermal installation so that you are always at the right temperature, whatever the weather outside. 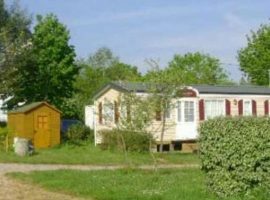 And to relax, enjoy the private terrace of the mobile home, where a barbecue awaits you for pleasant moments with the family. 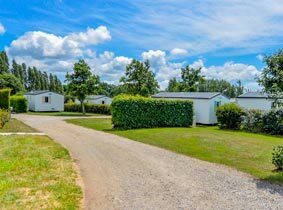 Well located and secure, the mobile home Premium also has a parking. So what more can you look for for a successful holiday?